Professor Weinstock-Rosin received her B. Pharm. Hons, M.Sc. and Ph.D. degrees at London University, UK. 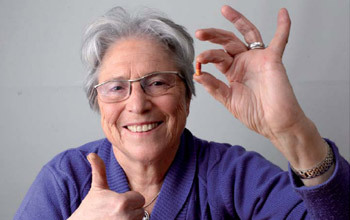 At Hebrew University, she was Chairman of the Department of Pharmacology from 1983-1986, and President of the Israel Society for Neuroscience from 2003-2005. Rosin was the developer of rivastigmine in 1985 (commercially available as Exelon), for the treatment of mild to moderate dementia and dementia due to Parkinson's disease. 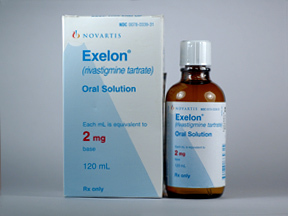 Rivastigmine was sold to Novartis through Hebrew University’s Yissum TTO and in 2009 the sales of Exelon neared US$ 1 billion worldwide. Recently, together with Prof Moussa Youdim, Rosin developed ladostigil – a novel neuroprotective agent which combines the mechanisms of action of older drugs like rivastigmine and rasagiline into a single molecule. Ladostigil is currently in Phase II clinical trials carried out by Avraham Pharmaceuticals Ltd for the treatment of Alzheimer’s disease, Lewy Body disease and Parkinson’s. Avraham Pharmaceuticals recently completed a $9 million financing round from investors Yissum TTO, Prof Weinstock-Rosin, Eli Hurvitz’s Pontifax Fund and Clal Biotechnology. In addition to drug development Professor Weinstock-Rosin’s major research for the past 27 years has centered on the neurochemical and hormonal mechanisms underlying the behavioral alterations induced by prenatal stress. In addition to Exelon and ladostigil, Professor Weinstock-Rosin is currently developing a new series of neuroprotective drugs with novel mechanisms of anti-inflammatory activity. Professor Rosin has dedicated her scientific career to understanding of the processes which take place in the ageing brain, and what causes accelerated neurodegeneration. She admits that at the time of rivastigmine discovery in 1985, the only known fact about Alzheimer’s disease was the correlation between memory loss and diminished amounts of acetylcholine – one of the most ubiquitous neurotransmitters in the brain. Rivastigmine’s mode of action is thought to be the blocking of acetylcholinesterase, an enzyme which breaks down acetylcholine, although the drug’s exact mode of action remains unknown. By the time rivastigmine was reaching the market, a substantial amount of new evidence emerged suggesting that the drug might be treating the symptom, rather than the cause, as a wide array of new underlying processes were attributed to impaired cognitive ability in rat models. Prof Rosin’s research has led to the isolation of a distinct change in the ageing brain, in Alzheimer’s disease and in Mild Cognitive Impairment (MCI)—a significant drop in the function of mitochondria, the cell’s power station. Because oxygen isn’t sufficiently utilized by the ageing cells, a decline in energy production results in oxidative stress and in the activation of microglial cells – cells in the brain and spinal cord which act as the first and main form of defense. It is the chronic over-activity of microglia which has been strongly implicated in neuronal damage and neurodegeneration. In numerous experiments in ageing rats, Prof Weinstock-Rosin discovered that administration of rivastigmine in much lower doses than those marketed under the Exelon name significantly lowered microglial inflammation, so much so that microglia of 16-months-old rats (a rat’s life span is on average two years) resembled those of young rats. Furthermore, aged rats exhibited substantially improved cognitive ability after lower-dosage rivastigmine administration. Joining forces with Israel’s other Alzheimer’s drug, Azilect (rasagiline), Prof Weinstock worked with Prof Moussa Youdim on creating an amalgamated form of rasagiline and rivastigmine, creating ladostigil. If Prof Rosin’s laboratory studies are to be taken as an indication of ladostigil’s efficacy, we may expect excellent results in the drug’s clinical trials. Although, says Prof Rosin, ladostigil’s success may be a long way away—clinical trials of neurodegenerative diseases are notoriously difficult and lengthy to run, as patient selection is a tricky art in MCI and Alzheimer’s cases. Speaking of the Israel Brain Technologies Initiative, Prof Rosin is perhaps more down-to-earth than her Israeli colleagues. With the right priorities, direction and financing, Israel has a great chance of becoming a world neurotech leader. But perseverance and motivation are a must, particularly because she anticipates this to be a rather costly project.